Win-Win Negotiations for Salespeople focuses on the need for developing and strengthening the sales negotiation skills of your salespeople, while keeping in mind the need to maintain lasting, beneficial client relationships. 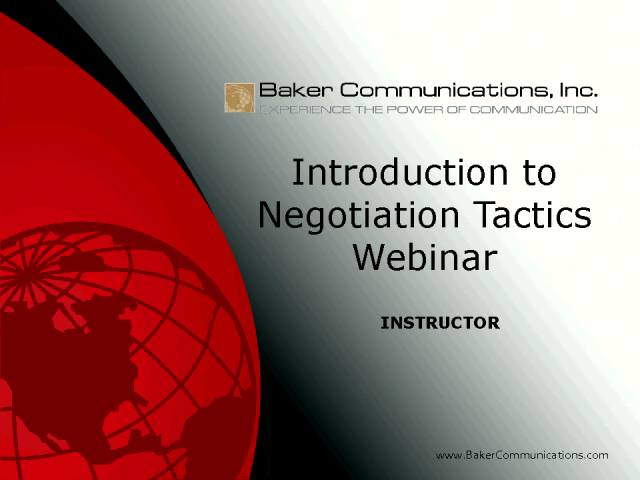 This webcast will focus on the key elements of planning and executing both one-on-one and team negotiations. With these improved skills, your employees will be able to handle any face-to-face or telephone negotiation situation, both internally and externally, with greater confidence and a positive impact.